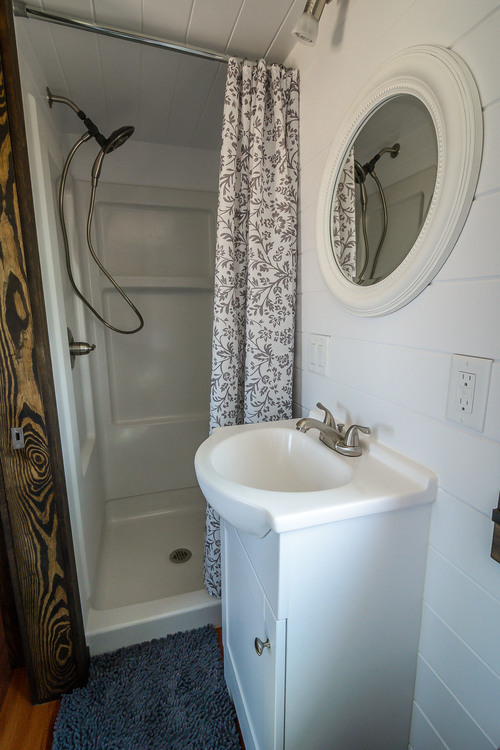 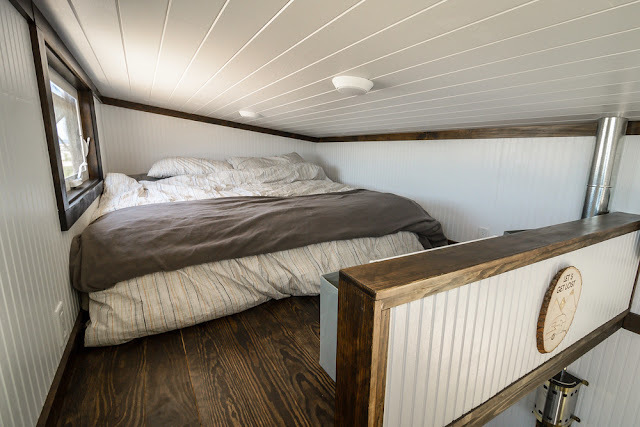 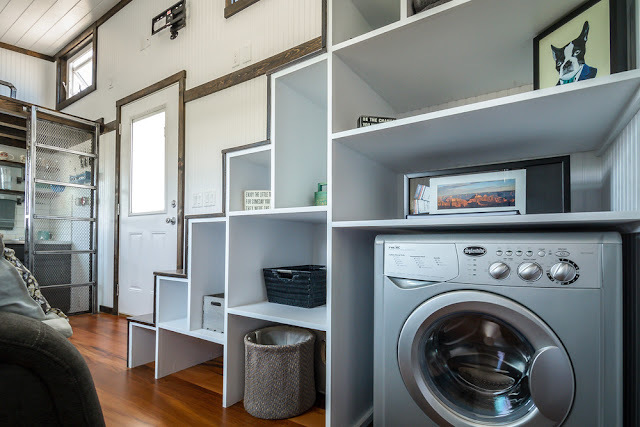 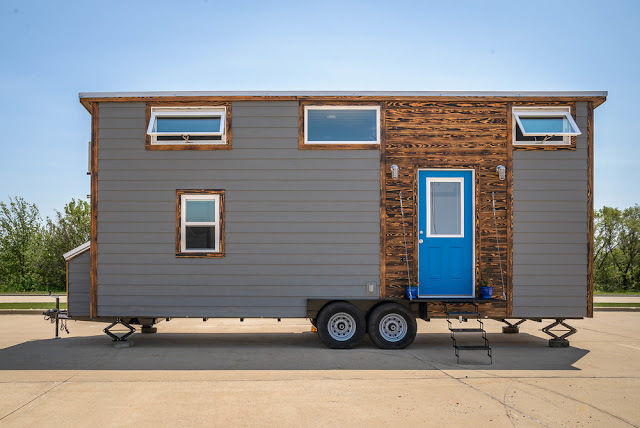 This pretty tiny house on wheels is built by Wind River Tiny Homes of Chattanooga, Tennessee. 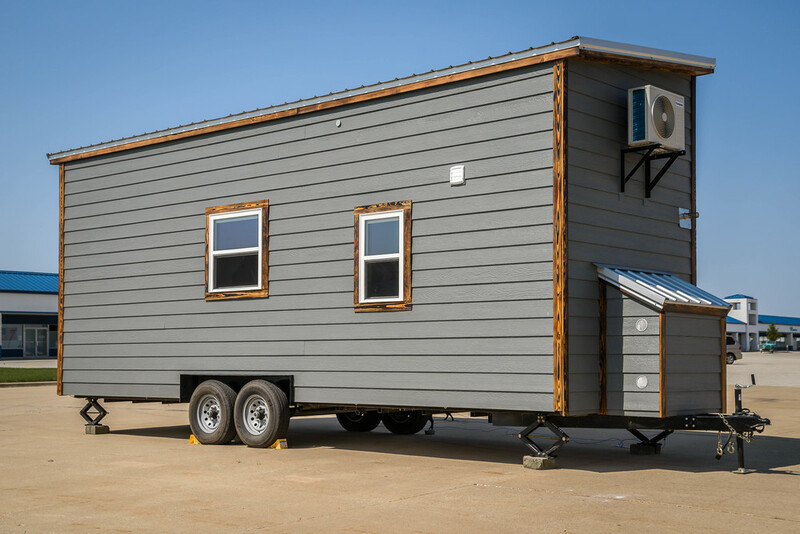 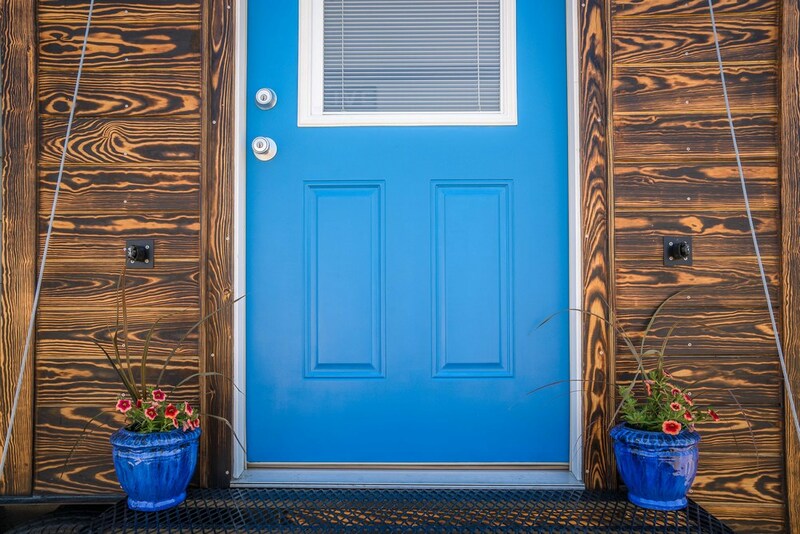 Named "Triton", the home measures 8.5' wide and 24' long for a total square footage of 204. Inside the home you'll find a full kitchen, living room, bathroom, and two lofts (one for storage, another for sleeping). A unique feature in this home is a home office. 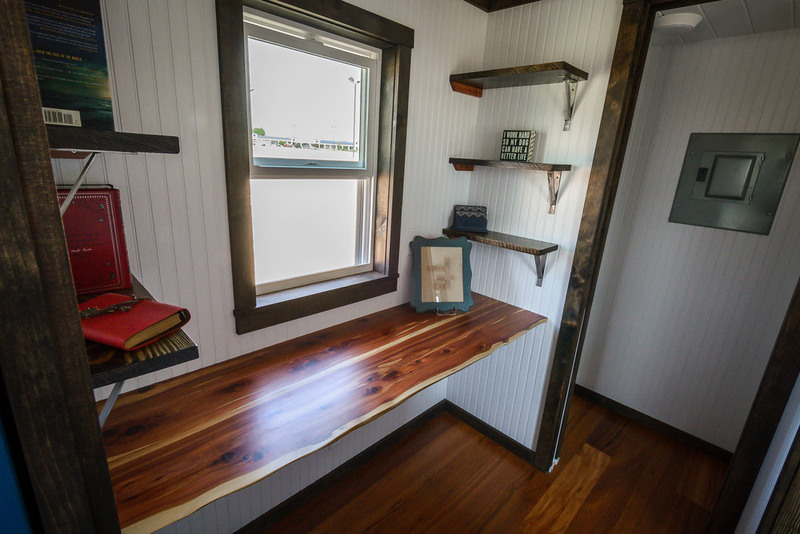 Tucked right against a window, there's plenty of surface space to set up your laptop and get some work done. 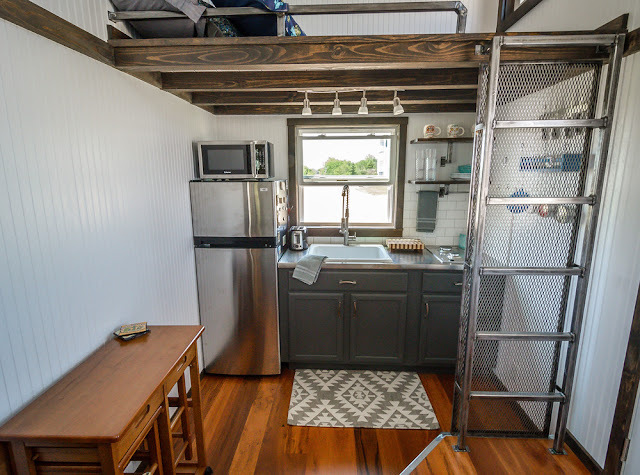 There's also shelving on either side to store books, paper clips and written reminders to call your mother back. 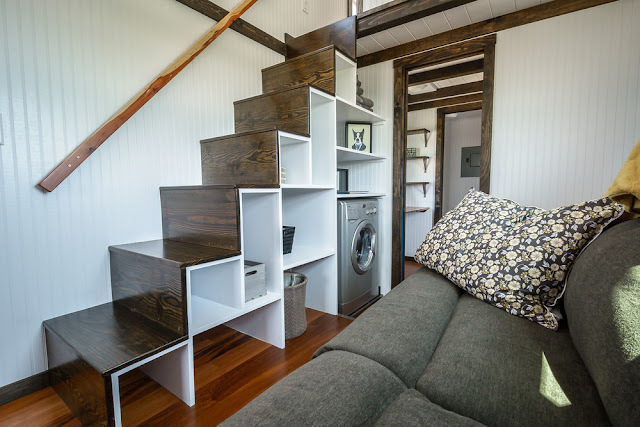 There's also a small front porch with steps that fold down. For extra storage, the stairs up to the loft bedroom have room to store personal items and even a small washer/dryer. 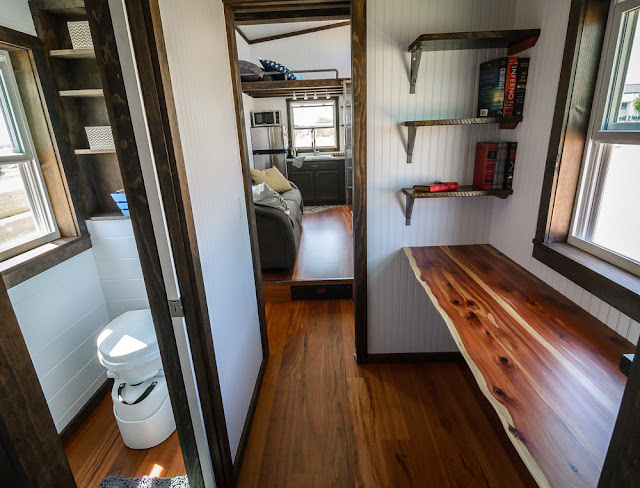 If you like Triton, be sure to check out one of Wind River's first tiny homes, this 204 sq ft cabin.